Canon is rumored to be developing a replacement to the less than stellar EF-S 18-200mm f/3.5-5.6 IS lens. The new lens will have the same STM motor as the EF 40mm f/2.8 STM and EF 18-135mm f/3.5-5.6 STM lenses. Anytime a lens has a ratio of more than 1:10 zoom, there will be a compromise between versatility and peak performance. The EF 28-300mm L IS lens is a prime example. One either loves it for its great focal lengths or loathes it for its monstrous weight and less than ideal IQ. 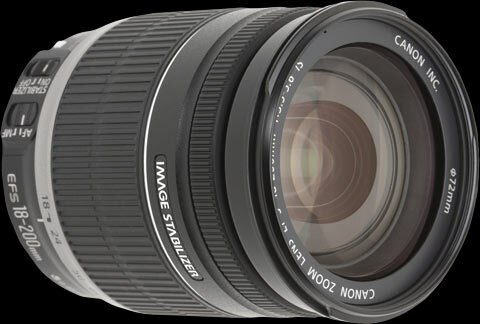 The new EF-S 18-300mm f/3.5-5.6 IS STM lens may be available some time in the middle of 2013. Is this lens likely to be produced? the timetable for development seems to have stalled somewhat, do you have any more info about when it might be launched? Hi Mike. My own feeling is Canon will not be producing a lens with such a big range in focal length under the STM family. The speed will be too slow to be acceptable given the EF-S price constraint. I own the EF 28-300 f/3.5-5.6L IS lens. It is a heavy lens and lists for $2,549. Thanks for the reply Michael. Have you tested the Sigma or Tamron lens? Both appear to offer around 16 or 18-300mm with the EF-S Canon mount. Hi Mike. I am aware of the Sigma 18-300mm and Tamron 16-300mm lenses but have not tested them. Being a wildlife photographer, there is little time for me to test equipment so I restrict myself to putting a few pieces of professional gear to its limits while on location and share my findings. Generally, I am not enamored of large zoom range lenses, especially consumer grade equipment. Even the Canon EF 28-300mm L lens (professional grade), which I own is used very infrequently. It is heavy and I have to weigh the disadvantages and benefits of the glass before taking it on my photo shoots. I use my feet to complement my lens' zoom range as much as possible.